Following our exclusive interview with Xray’s on-road stars Alexander Hagberg and Olly Jefferies about the forthcoming X12’16 1/12th scale pan car we now have a more in-depth article from Xray in which Alexander explains the long way from Xray’s first ever 1/12th scale chassis, the XII, to the forthcoming X12’16 car. The development process of the X12 project has been a very emotional journey. Not only did I develop as a driver throughout the years, but also seeing how far we have come with the results and design of this car makes me happy and very proud. 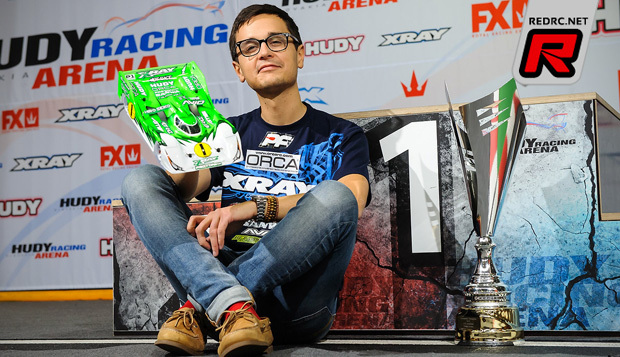 When I won the 2014 European Championships in Scandiano, it was not only my first European title, but it was the first championship for Xray in the 1/12th scale class. It has been a long journey since 2008. I have been involved in Xray’s 1/12 department since the very start of the first project when it was called the “XII” … a car that used an industry-standard T-bar rear pod plate. 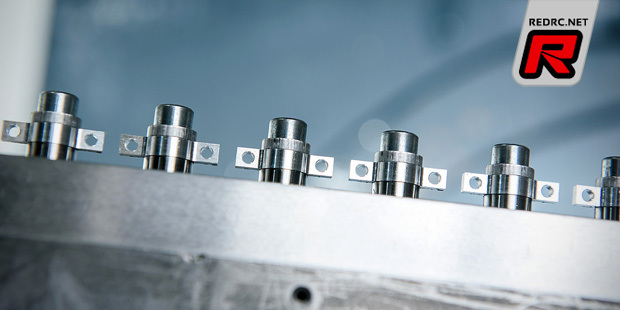 However, as technical regulations turned towards single cell LiPo batteries, manufacturers were forced to convert to the side link system in their car platforms. The XII Link was born – a car which soon would develop into the X12, the first version of the platform that we currently use. I have to say that, looking back, when we tested the very first XII prototype at the RCS asphalt track in Bangkok, Thailand, I was not expecting this car to become such an important part of the Xray fleet. We arrived in Thailand with a simple design – still with some minor flaws that had to be fixed – with little or no knowledge about racing 1/12th racing on asphalt. 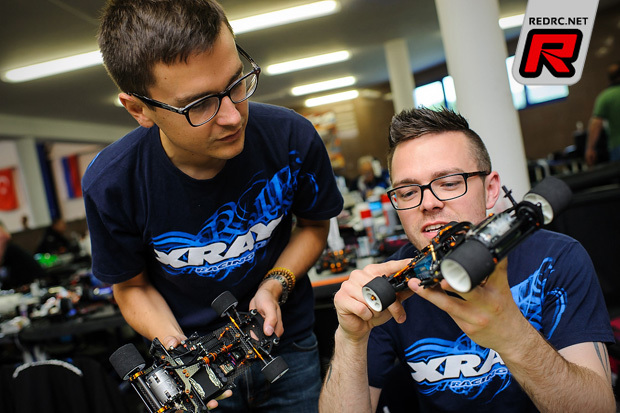 I was worried, a little skeptical, and actually afraid that Xray would withdraw their entries from that year’s World Championships which was only one month away. 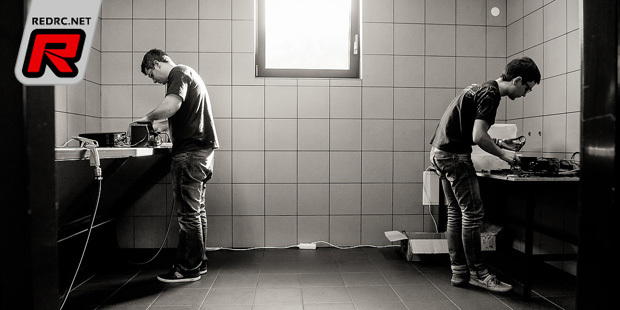 However, I also remember the passionate approach by Juraj and Martin Hudy. We came from nothing in this category, but step-by-step with the involvement of fantastic people, we have clearly come a long way. We did fairly well at that Worlds in Bangkok that year, finishing with one car in the A-final and three cars in the B-final. 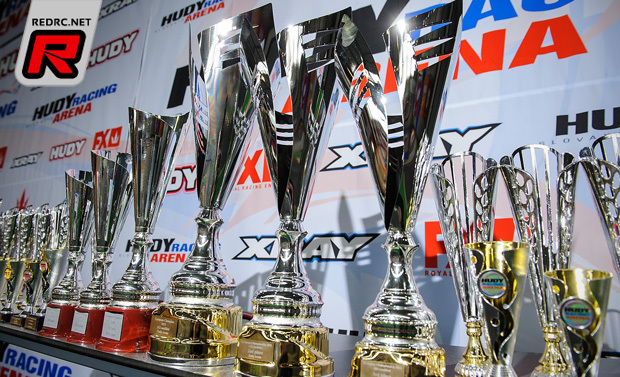 The start of Xray’s journey in the 1/12th category had begun! 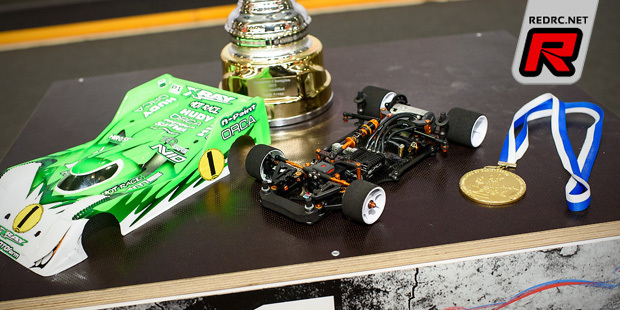 I had some success with the XII Link, finishing in the A-final at the European Championships in the UK that year. In the early stages of running the XII Link we worked closely together with team drivers from the USA such as Paul Lemieux, Eric Anderson, and Drew Ellis among others, as they provided their input from racing on high-grip surfaces at big events in North America. All their input, including my own feedback from racing in the USA and Europe, was used to develop the X12. The car now had side tubes instead of a side damper, a stiffer chassis plate, wider front end, and more rigid materials were used throughout. At this point, the X12 was a very competitive car in the 1/12th category. We were one of the first teams to test with the inline battery position, which places the battery along the centerline of the car instead of being aligned towards the back pod (as per tradition). This allowed for higher cornering speeds, particularly for Stock classes on high-traction carpet. It prevented the rear from sliding, and the rear tires from chunking. The real step forward came in 2012 when I finished 7th at the World Championships in Heemstede, Netherlands. I really put a lot of effort into the 1/12th category, a class which was always special for me as a young racer growing up on carpet tracks. I managed to fine tune the set-up of my X12 chassis, and constantly found new small things which would improve my car’s performance. 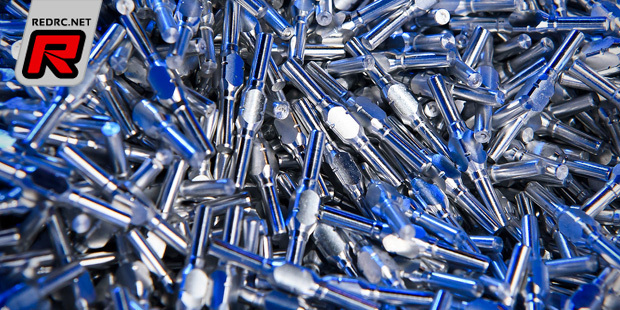 For the next version of the car, it seemed clear that we would use a linear side spring instead of the conical progressive springs that were previously used. The chassis flex was again altered, as well as the weight distribution of the car. The X12’14 car would allow the battery to be positioned either inline or crossways – a feature that was widely appreciated by customers and team drivers alike. In 2014 I won my first European Championship title in Scandiano, Italy. As a result of meticulous preparation, as well as some previous track knowledge, I came well prepared to the event and performed well throughout. My British teammate Olly Jefferies, also a very successful 1/12th racer, was a strong contender for the title as well. Olly brought a lot of his knowledge into the development of the X12. As a multi-time BRCA champion, Olly’s input proved to be extremely valuable for the development of the new X12 version. We continued to have more successes with the X12 in 2014. 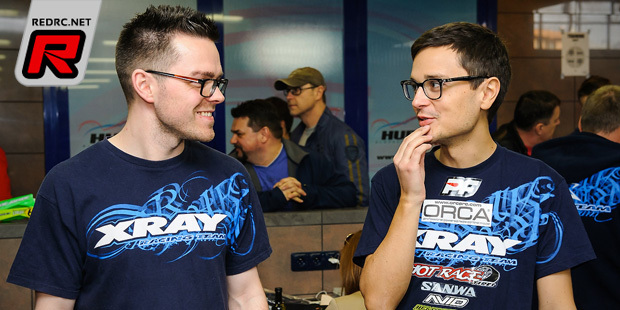 Olly became BRCA champion again, while I TQ’d and won the IIC event in Las Vegas. The big letdown came at the World Championships in USA; I set the fastest times in practice, qualifying 4thm but failed to move onto the podium in the finals. Difficult, low-grip conditions were no match for my X12 in the finals despite I set the fastest single lap time as well as the fastest qualifying run of the entire event. I remained determined to improve the X12 and to try for more successes in future races. The 2015 season started off well with another TQ and win at the Snowbird Nationals in the USA. This event is particularly competitive, with many of the World’s best 1/12th racers in attendance. Likely the biggest highlight in the history of the Xray 1/12th project was winning the European Championships on our home court at the Hudy Arena in Trencin in March 2015. Not only did I win a back-to-back European title, but we debuted some new prototype parts which greatly improved an already good car. When you have come as far as this with product development, it’s all about the fine tuning, the small steps towards perfection. For the 2016 version of the X12, we took some of the best parts of the 2014 and 2015 cars, combined them, and added some new innovations as well. I was always under the impression that the chassis flex and shape of the 2014 car was a better compromise compared to the 2015 version, hence this is why we reverted to that layout. However, the 2016 car will feature the production version of the prototype rear pod that I used to win the 2015 Euros. It’s a completely revised pod with much lower CG bulkheads, which also allows for ride height changes in smaller increments by using shims instead of plastic inserts for the rear axle. The new rear pod makes the car more agile, allows it to carry more corner speed, and improves forward traction. Last but not least, the car is a lot lighter with this configuration. The car can have different center shock mounting positions, with the much-preferred long position being one of the options. This super-long shock mounting was originally an idea brought up by Paul Lemieux at the IIC in Las Vegas. I have used the long center shock ever since, as I always thought it made the car drive well over bumps and gave more on-power steering when exiting corners. Another innovation in the new car is the floating servo mount. As some customers had mentioned in the past, there were some limitations to the servo mounts of the older cars; there is no clear industry standard for 1/12 servo sizes, so only a handful of servos would fit the car. That problem is now a thing of the past, as the new floating mount not only improves the flex in the center of the car, but allows for any servo size to be used. I am sure that customers will appreciate this feature. 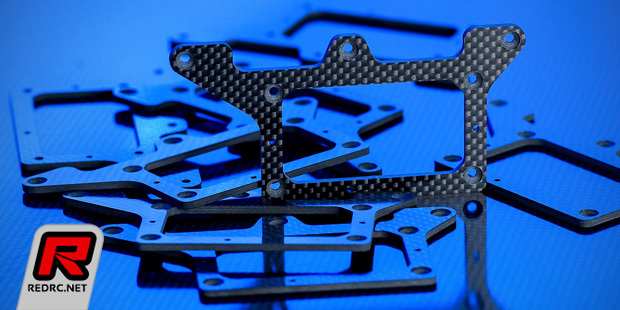 The floating servo mount is originally an idea used in 1/10 touring cars, where Xray was one of the first companies to implement this feature. All-in-all, I am very proud to present to you our X12’16 car! Since I am regularly visiting the Xray factory, I have the exciting opportunity to be involved directly in the projects which is great experience for me. 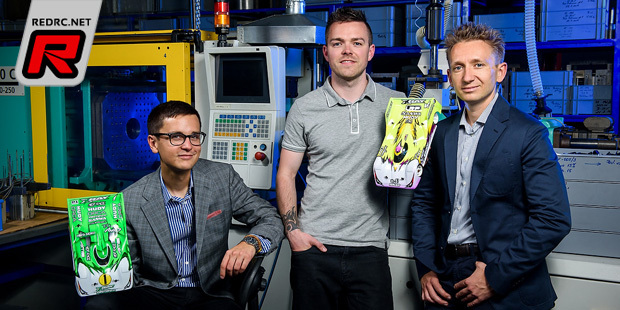 I get to see the car through its development phases, get involved in many discussions and brainstorming sessions, see and test first prototypes, get involved in testing and development of various prototypes, evaluate parts and provide feedback, and see how everything is created and produced. All this and more is part of the lifecycle of a project. It is wonderful experience and a great feeling to see how new things are created. This direct influence and being part of everything is definitely a big motivation for ongoing work. 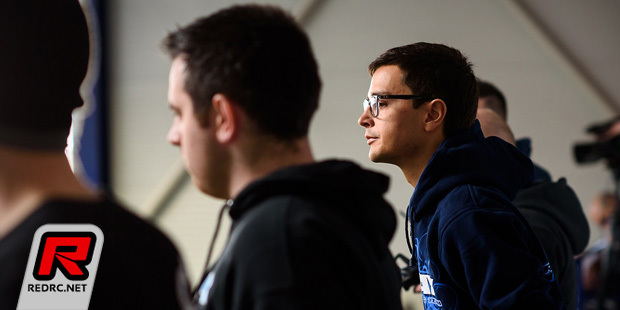 At this moment, with two back-to-back European titles in our pocket, we are more motivated than ever to stay on top with the X12 project. In my opinion, 1/12th is a great racing class: affordable, simple, and the cars handle very well with little effort. You don’t need a huge carpet track to have fun with 1/12th cars. 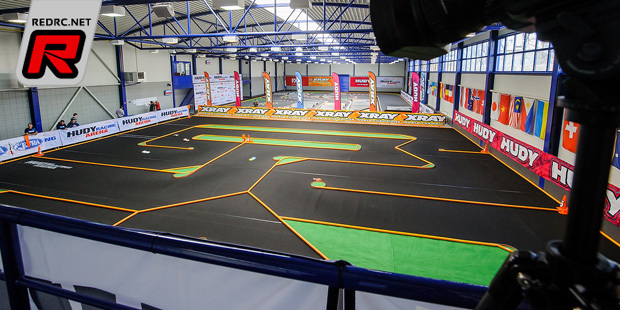 A small, technical indoor circuit is more than enough, which means that there are many venues out there to host practice or racing for this category. Will the X12 be a part of a comeback of the 1/12th class? I certainly hope that we have given the racers a car to have fun with, from club racing to world-class level racing. I want to send out many thanks to our head designer Martin Hudy for using my feedback and input in the designing of the X12 platform and huge thanks to entire team for dedicated and first class team work. I hope that we can win many more titles together in the future! See you at the race track.